A lot of people ask me what can I eat if I don’t eat meat and how can you feel satisfied after a meal. My partner and I haven’t been eating meat for a few years now and I’m always satisfied after meals. My partener is the biggest eater I have ever met, seriously, so if anything we have become better cooks. 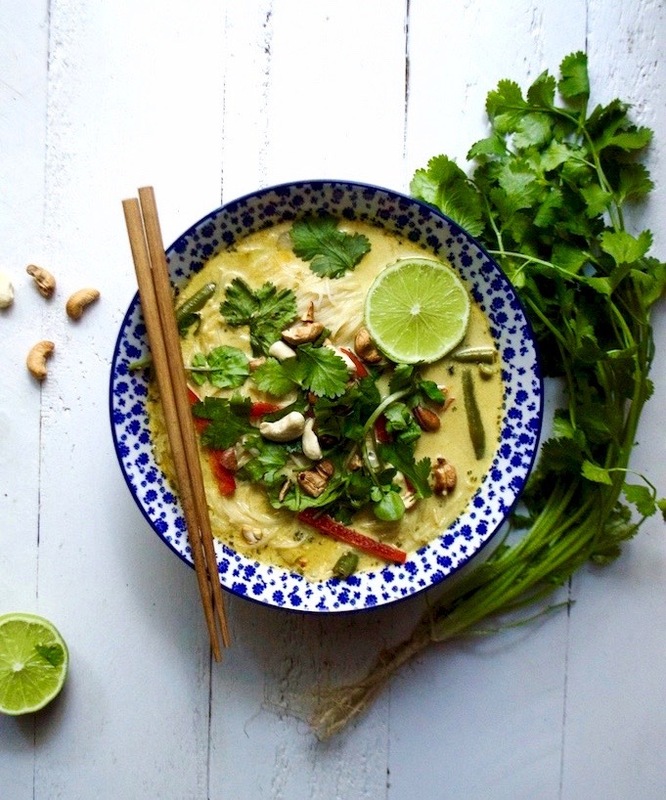 Experimenting with herbs and spices in the kitchen to make beautiful warming curries and delicious laksa’s like this one are just a few we have regularly in the winter time and even in the summer. 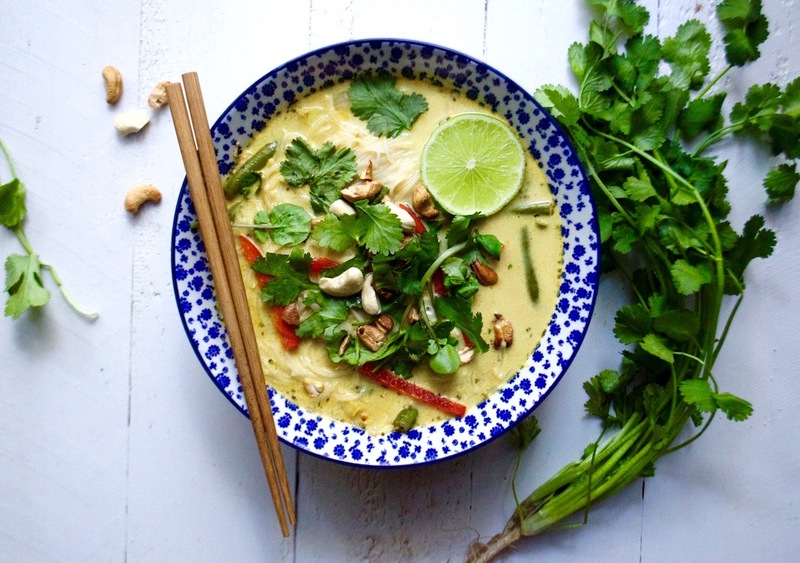 Making laksa is perfect for people who want a quick wholesome meal. It’s super easy, full of nourishing goodness and bursting with fresh, delicious flavours. Chop up onion, add coconut oil to a large pot and fry the onion until soft then add in laksa paste and combined. Add in water, coconut milk, vegetable stock cube and bring to a light simmer. Add in vegetables and let cook for about 10- 15 mins (depending on how soft you like them). In a separate saucepan, bring water to boil and add in noodles, cook for 3-5 mins or until soft and drain the water out. When you are ready to serve, use a large serving spoon to scoop out laksa in a bowl, add the noodles, garnish and enjoy! Heat the coriander, paprika, cumin, and turmeric in a pan for a few minutes. Let cool, place all ingredients into a food processor or blender and blend until well combined. Store in a air tight jar in fridge.